Jonathan Kozol, with an appearance by Matt Damon. A discussion by film maker Laurie Gabriel will take place following the film. Ticket profits will be donated to the Social Justice Programs at West Shore Unitarian Universalist Church. 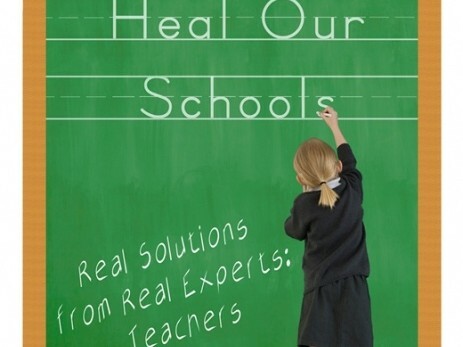 For more information, visit www.healourschools.org and "like" Heal Our Schools Documentary on Facebook. This event is proudly sponsored by Refuse of Cuyahoga County and Lorain County Parents Supporting Our Children and Teachers- Parents and educators committed to working for an educational system that puts children first, eliminates high stakes standardized testing, and advocates for equity in public education for all. For more information, contact RefuseOfCuyahogaCounty@gmail.com or visit us at the links above.